From offices in Roswell, Georgia, attorney Heather Brown provides experienced litigation counsel for landlords and business owners in the North Atlanta metro area. 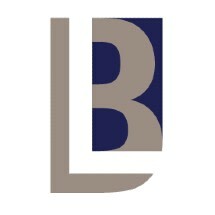 Brown Law, LLC, has quickly become recognized for cost-effective legal counsel backed by the highest levels of client service. Whether you are a landlord, business owner or corporate counsel seeking sound local advice and representation to address your real estate dispute or protect your rights in other litigation matters, attorney Heather Brown is ready to help. Commercial real estate litigation, protecting the rights of landlords in disputes and litigation matters involving leases, construction, title claims, dispossessions and forfeiture/seizure actions and foreclosure confirmations. Creditors' rights in bankruptcy, providing aggressive protection of property owners' and commercial clients' financial interests in 341 creditors' rights hearings. Intellectual property, including trademark infringement, false advertising and breach of confidentiality and trade secrets. Attorney Heather Brown understands the importance of working closely with clients and maintaining an open line of communication. She keeps clients informed about the progress of their legal matter and empowered to make educated decisions regarding the resolution of their case. To discuss your business law concerns with attorney Brown, call 404-953-5966. I highly recommend Heather. She demonstrates high integrity and great communication. Kept me in the loop throughout the process and delivered fantastic results!